This is a die-cut Zeon Electrical Products porcelain sign. This particular Zeon Electrical Products sign is green and white. 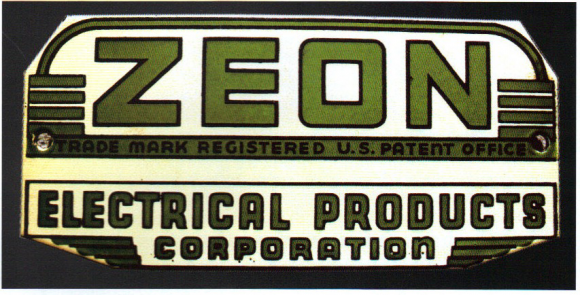 It reads, “Zeon Electrical Products Corporation” and features green stripes along the sides of the sign.